I left a recent visit to a Bliss Spa in New York City with a beautiful manicure — and a sense of disappointment. For years, I've heard how wonderful Bliss Spas are. I mean, with a name like "Bliss" the experience should be heavenly, right? 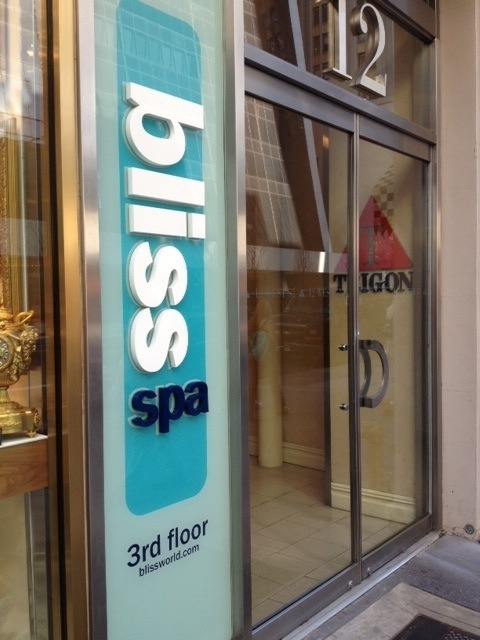 (Bliss is known for its signature beauty product line and its spa locations around the world. We even have a few locations in Atlanta.) So, prior to my recent NYC trip, I decided I'd try one out if the opportunity presented itself. And one did. Around 3 p.m. on a Monday, I walked into the Bliss off 57th St. to find out if there was an opening for a manicure, which I knew was highly unlikely. However, the receptionist, managed to squeeze me in. I was thrilled! But here's where the disappointment started to set in. In everything I've ever read about Bliss, the company prides itself on providing a "blissful" experience in the spas. The decor was nice (I'll post pictures on the FWAB Facebook page), and everything was clean and hygienic. But, I was surprised by the lack of customer service. Maybe this was because I was just in for a quickie mani (the Hot Cream Manicure for $25, to be precise). But whenever I visit a spa for any service, the custom is usually for someone to show you around, ask if you have questions and at least ask if you'd like a glass of water — none of this happened at Bliss. No one was rude. But no one was really friendly. And when I go to a spa, I expect a certain level of friendly service. I was told to wait in the nail salon, where I noticed water and a couple of snacks and chose to help myself. Jane, the nail technician, was polite and made small talk. She did an amazing job painting my nails. When she finished, I was told that I could sit in the chair at the nail table while my polish dried. For the next 20 minutes, I sat there and listened to Jane speak to her next client (who was getting a pedicure) in Russian. We were in such close quarters that it was a bit awkward. I just sat there staring around the room — no magazine, no TV — trying not to seem like I was eavesdropping. I did not feel like Bliss infused happiness into everything it did during my visit, which is the claim made in the Spa Menu booklet that I grabbed as I left. Even though the manicure itself looked FWABulous, I would not return to that Bliss location again. I could get a good manicure and lukewarm service for a much cheaper price elsewhere. With that said, I would like to give one of the Atlanta locations a shot before I completely write off the spa, and maybe I'd try a different service. (I do believe in second chances.) Maybe I can find "bliss" a little closer to home. Have you had a particularly blissful — or less than blissful — spa experience? Share it with us in the "Comment" section. If you haven't "liked" FWAB on Facebook, I'd appreciate it so much if you would. Until next Tuesday — stay FWABulous and happy Easter!